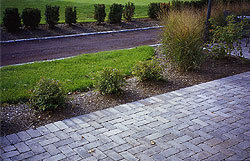 Hardscape: Brickpaver Patio�s, Walkways, Brickpaver Driveways, Retaining Walls & Natural Rock walls. Millbrook Landscape Contractors LLC is an accomplished company offering the experience and the know how in the field of Landscape and Hardscape Design, for both residential and commercial customers. background includes knowledge of the latest trends and material available, allowing our strong qualifications.